Greek geography is as varied as you can imagine. One can see beautiful landscapes, rooftops, and ravishing blue skies. The alphabets we used today are derived from the ancient Greek alphabets that were developed from the Phoenicians. Famous of all cities in Greece is its capital, Athens which was named in the honor of the Greek goddess Athena, the goddess of wisdom and war. Apart from its rich history Greece also enjoys fascinating geography and modern life, thus, paving a new route for lucrative business opportunities for the tourism industry. If you are planning to set up a business in Greece, this is all you need to know. The new economy of Greece is in the making. In 2019, investment opportunities in Greece have become attractive and widely available in sectors like Travel and Tourism, Defence and Aerospace, Maritime, Agricultural products and Renewable Energy. It is projected that by the unraveling of the next decade, the nation is to see a massive boost in Tourism and Logistics. Additionally, Greece has an upper hand on human capital, advanced infrastructure and is currently a country with great potential for rejuvenating its economy. This is why the scenic country has been attracting investors from around the world to make new partnership and business deals. Greece is focusing on a long term sustainable growth strategy, which will eventually yield favorable results for the investors as well. 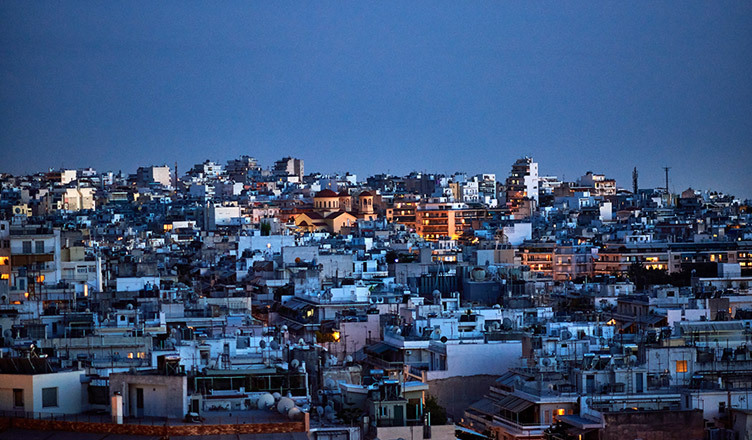 Greece continues to be the economic hub of Southeast Europe. Let’s have a look at the core reasons for investment. Schengen area is an area comprising 26 European states that have officially abolished passport and other types of border control. The privileges that you get if you are a holder of the Greek residency permit; you will be entitled to enjoy the following travel privileges. You can travel freely within the Schengen zone without the customs’ checks. You can travel from your own country of origin to any Schengen zone. Greece has the support from several world-class institutions, namely, the IMF, the European Commission, and the European Central Bank. The budget deficit has been slowly declining and is being kept below 3% of GDP, which helped the economy of Greece to stand strong on its own feet again with a stable economic growth period. The economic growth is being picked up by the exports, while the market reforms have improved. English is the second language of the majority of the Greeks because language can be a barrier sometime towards the successful business in other countries, being able to communicate with your customers is an important aspect of a healthy business. Now it is time for you to grab the right opportunity in the right time because the European Investment Fund has announced its plan to make available 260 Euros for the creation of investments funds for the Greek start-ups. If you are interested in incorporating a business in Greece, know that the country provides a lively and supportive business environment where you can start your company. Business Setup Worldwide is a consulting firm helping entrepreneurs and firms with company incorporation, accounting, bookkeeping, audit, intellectual property protection, and corporate secretarial services in Greece. To know more, contact us – we’d be happy to help.